Here's a handpicked collection of the funniest picture books for toddlers, preschoolers, young children, that'll have them rolling with giggles. These books are loads of fun. And if you want your children or grandchildren to enjoy reading, these books are an excellent start. I would highly recommend these books for an elementary school library collection or a primary classroom collection. 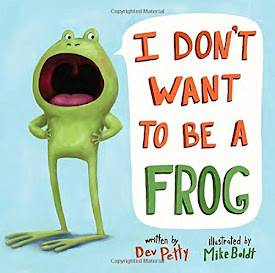 Told in hilarious dialogue between a feisty young frog and his heard-it-all-before father, this is a funny, clever, witty story on self-acceptance - being happy with who you are. Children will identify with the little frog’s desire to be something different, while laughing along at his stubborn yet endearing schemes to prove himself right. Accompanied by great illustrations, its a funny storyline on how each of us is important and how crucial it is to cherish what we are, instead of imitating and following others. Bear wants to go to sleep but his next-door neighbor duck has other plans. Duck is reading a book called "101 Ways to Stay Awake" and he is determined to stay up and he wants bear for company. A fun story, with clean yet funny illustrations, make this book a wonderful read. The different voices and personalities of bear and duck come out visually and verbally in the book, so it adds to the fun to read using different voices for the bear and the duck. 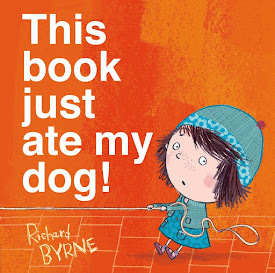 A hilarious picture book that will brings giggles at bedtime and make bedtime memorable. A baby bird is hatched while his mother is away. Fallen from his nest, he sets out to look for her and asks everyone he meets - including a dog, a cow, and a plane - "Are you my mother?" Its a wonderful beginning reader - the story is humorous, the drawings lighten the mood further, and the words are simple and well related to the illustrations. A hilarious board book adapation of P.D. Eastman's classic story, perfect for babies and toddlers. A classic that should be in every child's library. 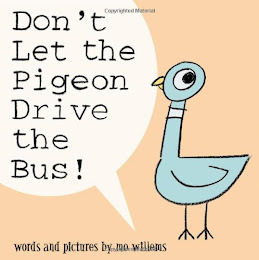 Begins with a bus driver telling the reader not to allow the pigeon to drive his bus while he steps away, putting the child in the deliciously empowering position of being the one to say no to the outrageous request of the pigeon, as he pleads, wheedles, and begs his way through the book. The illustrations are simple yet remarkably articulate. The pigeon's large, expressive eye, exquisitely display every emotion possible, from sweet and innocent to consumed with an all-encompassing rage. This hilarious picture book perfectly captures a preschooler's temper tantrum, and will remind you of all of the times children beg their parents to do something. 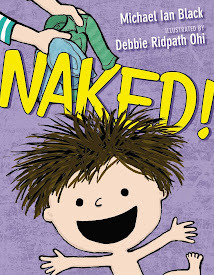 A hilarious book about the antics of an adorable little boy who just doesn’t want to get dressed. After his bath, the little boy begins his dash around the house.. in the buff. The boy's mother keeps trying to get him clothed as he outruns and outmaneuvers her, and it makes the story even more humorous and loveable. The adorable illustrations capture the little guy's energy and captivating free spirit flowing with happiness and adventure as he runs around naked. The book ends when our little hero finally gets cold and learns that clothes can be kind of important. Filled with energy, joy, and humor, this book is a delight to read. A very funny short story about size - it all depends on who's standing next to you. Everyone comes in different shapes and sizes. Everyone is an unique individual and whether you're big or small, it makes no difference. The story is written in simple text, accompanied with cute, adorable illustrations. A very easy to read, fun book, for kids and beginners. When her dog disappears into the gutter of the book, Bella calls for help. But when the helpers disappear too, Bella engages the reader in helping. As the reader, you get to shake the book and help the characters out. Cleverly using the physicality of the book, "This book just.." is inventive, ingenious, and just pure kid-friendly fun. 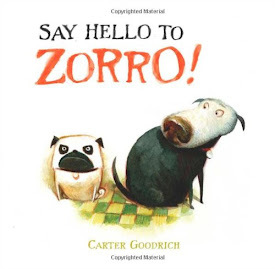 The cute, big headed characters are expressive, and the illustrations are sure to charm any story time crowd. Wolf is tired of getting beaten by his prey, so he sneaks into a dojo to enhance his fighting skills. Soon he’s ready to try out his new moves. He happens upon little Red Riding Hood and thinks that he can trick her into becoming his next meal. What he doesn't know is Red had gone to ninja school, too, and her Grandma is trained in tai chi. A fresh and interesting take on the traditional story, wonderfully written in rhymes, which makes it even more appealing. The full spread illustrations, beautifully drawn and with many details, make every page of this picture book abundant with humor and an enjoyable read. 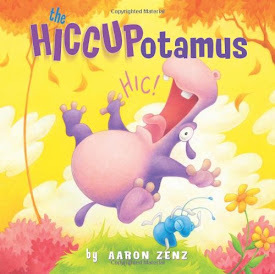 What happens when a hippopotamus has hiccups so fierce, they blast everything and everyone around him into flight? Humor, that's what. A fun, whimsical rhyme of epic proportions, the rollicking rhyme will appeal to toddlers and preschoolers. Beautifully illustrated with pictures that are detailed and engaging. The story flows quickly with a great sense of humor. Mister Bud is the master of the house and he's got a routine he loves. He has a wake up time, nap time, rest time.. When Zorro arrives, it throws everything off, but only temporarily. Bud and Zorro soon discover that nap time is more cuddly, playtime is more playful, barking at the doorbell more raucous, and life in general is more fun now that they can share it with a friend. The adorable, funny, charming illustrations capture many of the lovely idiosyncracies of dogs. This is also a good book for children uneasy about a new addition to the family, who are about to become, or have recently become, siblings. 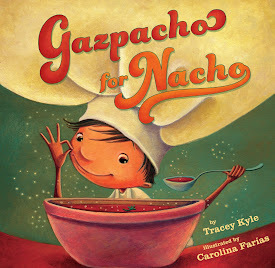 A charming story of a picky eater, Nacho, who likes to eat only one thing - gazpacho - a Spanish vegetable-based soup. No matter which Spanish delight his mother cooks, Nacho won’t even try other dishes, until.. 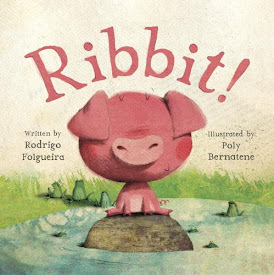 This well written, lively, rhyming tale, sprinkled with Spanish, with its vivid, bright, colorful pictures, will delight little chefs, young bilinguals, and new learners alike. A great gift for any niño or chica's library. A fun book, offering an introduction to another language and culture to kids. Little Louie's story keeps getting messed up, and he's not happy about it. But when he stops and takes a deep breath, he realizes that everything is actually just fine, and his story is a good one - imperfections and all. 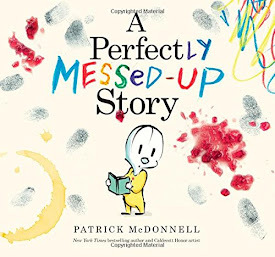 This is a laugh out loud funny, interactive, engaging read-aloud, and almost perfect story about embracing life's messes, perseverance, and the importance of maintaining a positive outlook even when things aren't going your way. The story is told via Louie's hilarious, over the top dramatic reactions that are portrayed in dialogue bubbles. Flat out funny, delightfully entertaining, and memorable tale that'll bring laughter to both young and old. The "rule" when reading this book is that everything written on the page has to be said, aloud, by the reader. Even if the words are a preposterous song about eating ants for breakfast, or just a list of astonishingly goofy sounds. 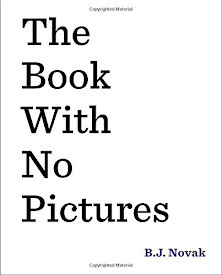 Imaginative and interactive, cleverly irreverent and irresistibly silly, innovative and wildly funny read-aloud. Children love silly sounds, absurd words, and having the adults in their life act like children, they will love this book. The kids will have fun making their mom/dad read this to them. It's December 23, and Christmas is just around the corner. But one family is having trouble getting its act together.. 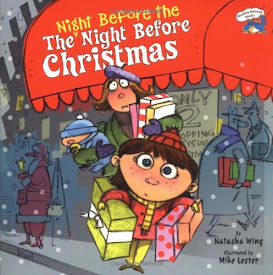 The storyline is a comic twist on the classic Night Before Christmas story, by Clement Moore. It's about all the crazy things that families go through to get ready for Christmas, about all the things that can and do go wrong during Christmas preparations, and about simply being together. 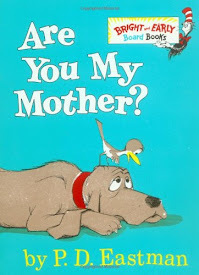 A funny, cleverly written story, with fun, endearing illustrations. 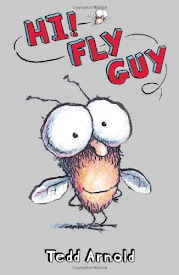 A boy goes out searching for a smart animal to take to "The Amazing Pet Show" and bumps into a fly that is intelligent enough to say the boy's name, Buzz. And so begins a very funny friendship. Silly, wacky drawings, endearing plot, hyperbole, puns, and slapstick create an easy reader that is full of fun. The vocabulary is fairly simple, and the number of words per page is not high. A fun book with a funny, cute story to make reading enjoyable for those who are just getting into the swing of it. 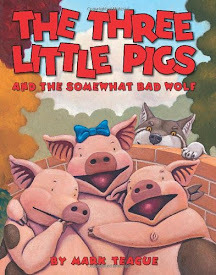 A humorous version of "The Three Little Pigs", with a zany twist. The characters are brought upto date with the modern times, the book explains why the wolf behaved how he did, and there is a happy ending for all the characters. With amazing illustrations, this is an unique, funny, enjoyable take on the traditional story. Turkey is in trouble. It's almost Thanksgiving. He doesn't want to become the farmers dinner. He has an idea - what if he doesn't look like a turkey? What if he looks like another animal instead? 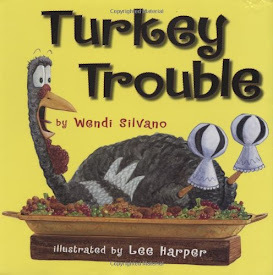 After many hilarious attempts, Turkey comes up with the perfect disguise to make this Thanksgiving the best ever.. A fun Thanksgiving book, with a comical story, creative, charming illustrations, and funny, fabulous use of words. A very energetic and happy dog, Tinka, a Golden Retriever, and her boy are inseparable. 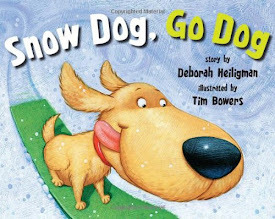 Snow doesn't stop them from romping, racing, sledding, playing hide and seek, and more. When Tinka's friend, Millie the beagle shows up, Tinka becomes a bit too excited. Off she races and ends up getting lost - till her boy finally rescues her. A funny bedtime story, with lively rhyming text. The illustrations are big, bright, cute, adorable, colorful, and fun. A group of frogs are living happily in a peaceful pond, until they discover a surprise visitor, a little pink pig. Sitting contentedly on a rock in the middle of their pond, the pig opens his mouth and goes "Ribbit!".. A warm, funny, beautifully illustrated story about fitting in, making friends, and the power of acceptance. The illustrations are cute, colorful, wonderful, delightful. George is an affable dog who is trying to be good. When his owner leaves him alone for the day, George is confronted with temptations too good to resist - a cake he wants to devour, cats he wants to chase, and flowers he wants to dig up. "What will George do?" is the question at each opportunity. Hilarious. 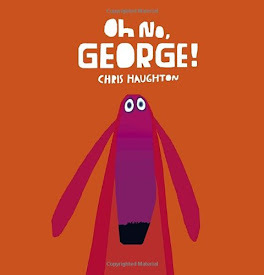 A funny story with endearing, retro illustrations, and a message for kids - that you can maintain self control, do the right thing when adults aren't looking, if you try hard enough, like George. 21. If You Ever Want to Bring an Alligator to School, Don't! When her teacher tells little Magnolia to bring something from nature for show-and-tell, she brings an alligator. And is determined to have the best show-and-tell of all - until her reptile starts getting her into some major trouble. Now it's up to Magnolia to find a way to send this troublemaker home - but what could possibly scare an alligator away? The illustrations are hilarious, and meticulous - the little details in them are great. The troubles the alligator gets into are just plain funny. 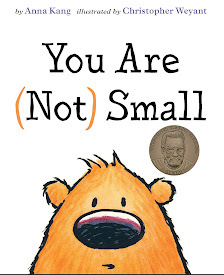 A really cute book that little folks will enjoy. 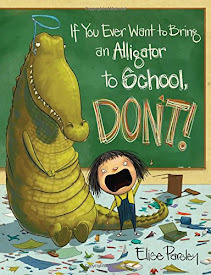 They'll love the girl and her alligator's antics at school. 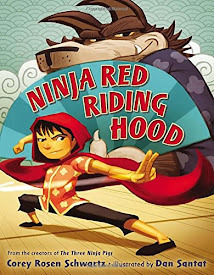 A fun, light-hearted story about a ninja and his daily life, wherein he chops, dances, and prances his way through such wild terrain as a grocery store, a swamp, a castle, and his own bedroom. Very cute board book with funny story, cute rhymes, and beautiful, vivid, charming illustrations that bring the characters and story alive, conjuring up lovely imagery. 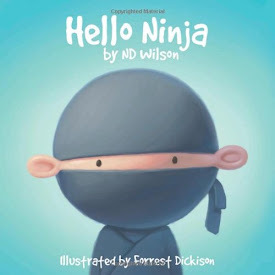 This book has all the fun and imagination that children need before setting sail into dreamworld, along with the ninja who is getting rest too, for the long day he is to have the next morning. 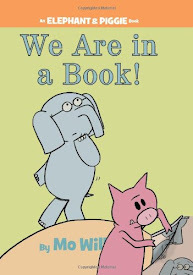 Elephant and Piggie, are sitting comfortably when they realize they are being watched.. by the reader, and the reader is reading the little word bubbles on the page. Piggie gets an idea - he wants to see if he can make the reader say a funny word.. Interactive, fun, and engaging, this book makes the children love being the reader. 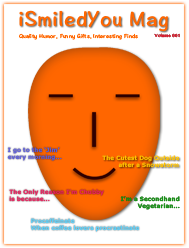 The humor encourages the kids to read the book themselves. There are several places where Elephant and Piggie address the audience directly, kids love that part. The illustrations - clear, expressive, silly - are wonderful. A quirky, hilarious farmyard tale. Farmer Brown has a problem. His cows like to type. All day long he hears click, clack, moo. But Farmer Brown's problems really begin when his literate cows start leaving him notes.. 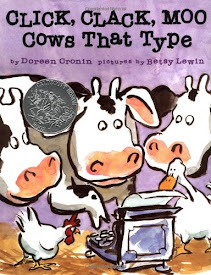 When their demands are not met, the typing cows lead a general strike on the farm, and turn Farmer Brown's farm upside down. The negotiations continue towards a hilarious conclusion. The expressive illustrations are charming, funny, and bold, and they make the most of the hilarious situations. A very funny book that's a delight to read. 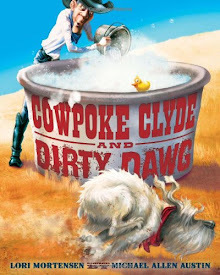 Cowpoke Clyde’s house was completely clean till he spied one thing he’d plumb forgot - ol’ Dawg, his faithful, snorin’ friend, all caked with mud from end to end. Needless to say, Dawg wakes up and runs. The chase that follows makes for a hilarious shaggy-dog tale involving fleas, cats, a hog, bribery, and deception. With funny western slang writing, the rhyming stanzas are pitch-perfect, Texas-style. The expressive acrylic and colored-pencil caricatures of Cowpoke Clyde and his menagerie are priceless. A hilarious book, read it with a western twang or Texan accent, to enjoy it the max. 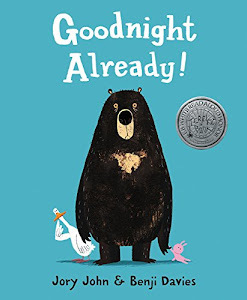 This collection of super fun, read-aloud picture books will have the kids giggling at bedtime. These are perfect books to introduce little ones to the joys of reading. Your reading to your child is invaluable in a variety of ways, not least of which are instilling a love of reading and improved reading skills. With better parent-child bonding from reading, the child also becomes more emotionally secure and is able to relate better to others. Kids will enjoy reading these books again and again, laughing and having a good time. Each of these books is a good fun read for a child, and will become a bedtime favorite. They'll be a wonderful addition to any child's library. They make a great gift for grandkids, son, daughter, niece, nephew,.. the apple of your eyes, for christmas, birthday, holidays, and more. Your son, daughter, grandkids will love these. And these books are so much fun, you'll love gifting them.